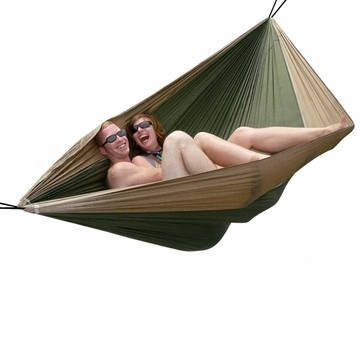 "Hammock Bliss Double is so spacious and roomy that you and a friend can relax in most any position with ease. Double Bliss allows you to chill out in most any direction. This hammock is wonderful for couples - the soft material conforms to your body and creates a nest that just invites you to cuddle. Use this hammock for extra space or for extra friends.